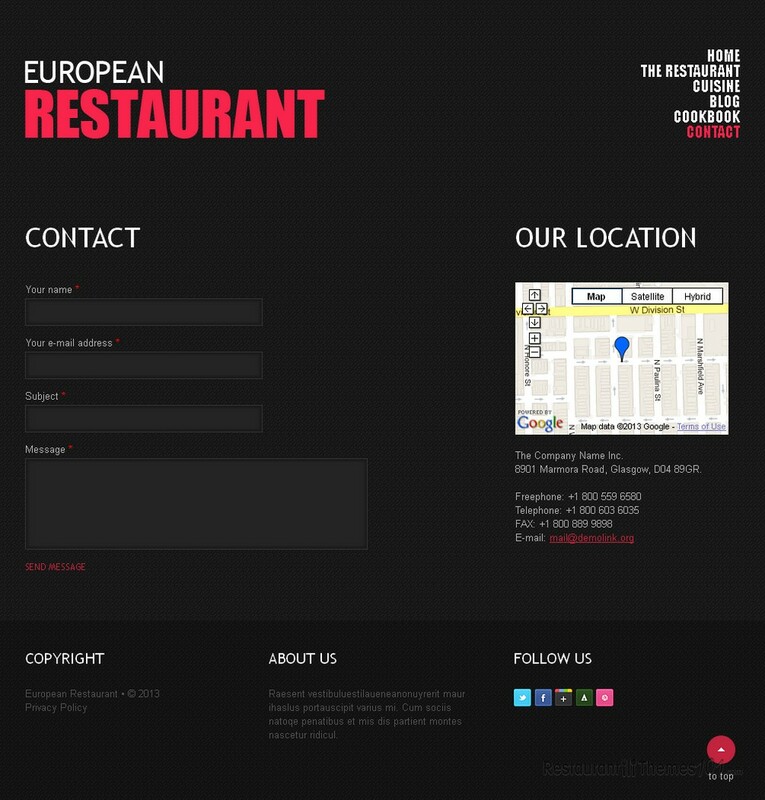 European Restaurant is a Drupal restaurant theme you should check out if you are in need of a perfectly organized theme with a great looking layout and many nice options. It was created by Cowboy and it is presented at Template Monster. 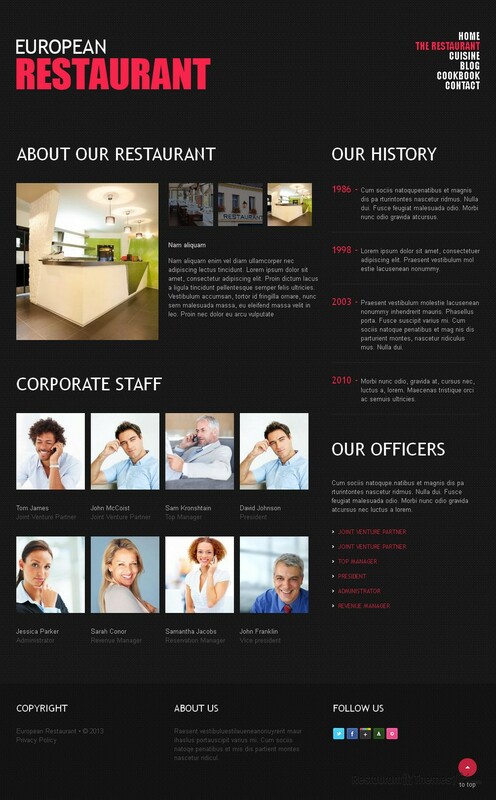 This theme can be used for various restaurant niches, but you will be especially satisfied with it if you are running a European restaurant due to the nice choice of colors and styles that fit the old continent perfectly. Black and gray with white and passionate red details give the whole layout a stylish and pleasant feel. The header of the homepage is enhanced by a huge slider, reserved for showcasing quality photos of your delicacies, and attracting everyone’s attention with them. 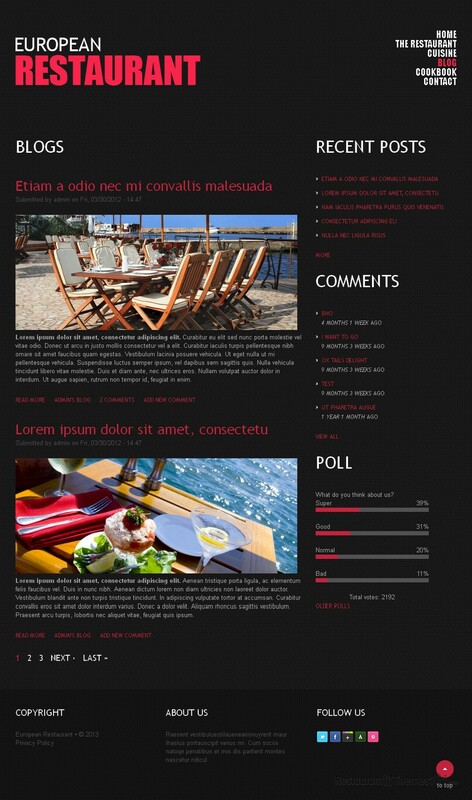 The content area allows you to feature many of your posts and present them to your readers on the homepage. This theme features events and the possibility of presenting them nicely by featuring them on your homepage with photos and dates so everyone knows if and when something is going on at your restaurant. Nothing goes by as well as the praise of a customer that has already been at your restaurants, and you will be able to place such testimonials on your homepage and let everyone see how much your satisfied customers love your restaurant. 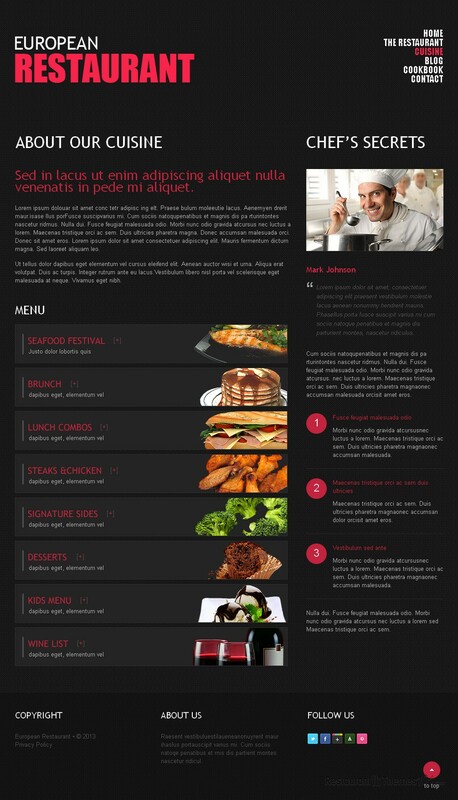 The menu this theme features looks great, it allows you to describe your meal and place photos for each dish, and then feature this great looking menu on your homepage, because this is what people come to see at your website: the food you offer. Social integration was nicely done, and you will be able to connect your website to the most popular social networks and share your content with a wide audience. 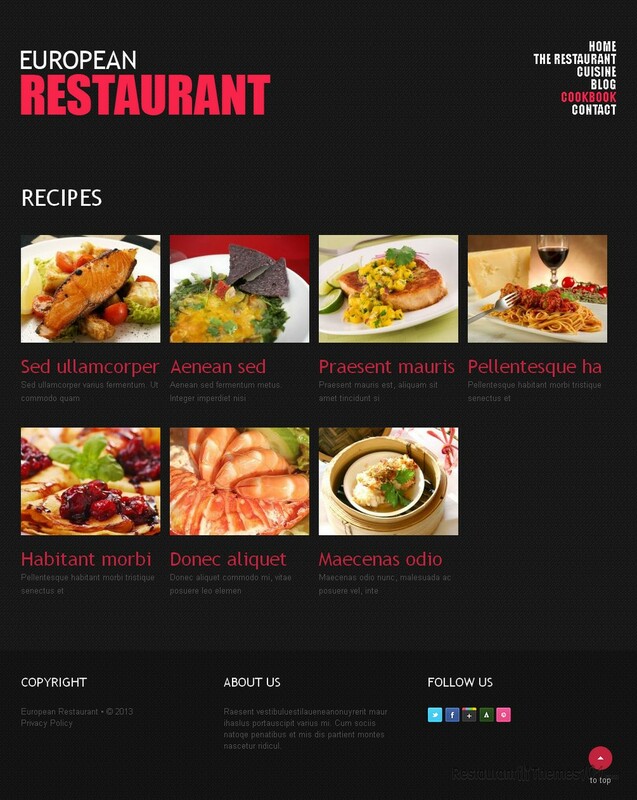 This nice restaurant theme for Drupal features a powerful admin panel that lets you manage your website easily and efficiently. Install and setup instructions are included, and you will be able to manage everything by yourself, even if you aren’t a skilled web designer.